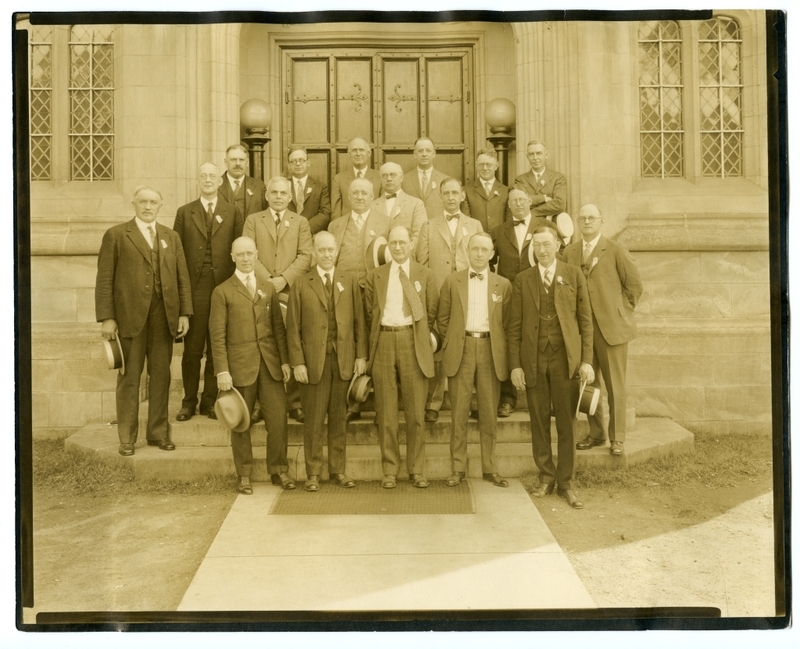 Group portrait of the Bowdoin Class of 1900 at a reunion. Back (left to right): Williams, Colesworthy, Bass, Strout, Holmes, Russell. Middle (left to right): Sim Hamlin, McCarty, Palmer, Pottle, Ward, Chapman, Shorey, Merrill. Front (left to right): Robinson, Spear, Wood, Edwards, Knight.